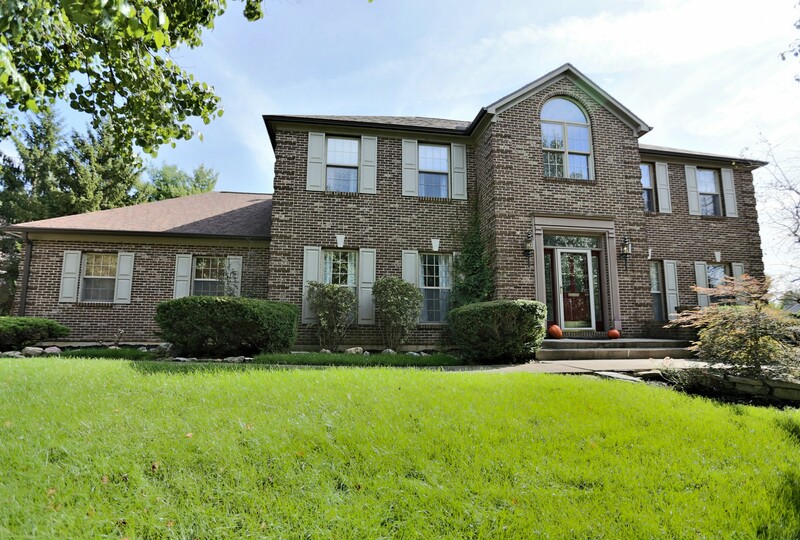 Welcome to a Stunning Custom-Built Brick home nestled in Sugarcreek Twp! 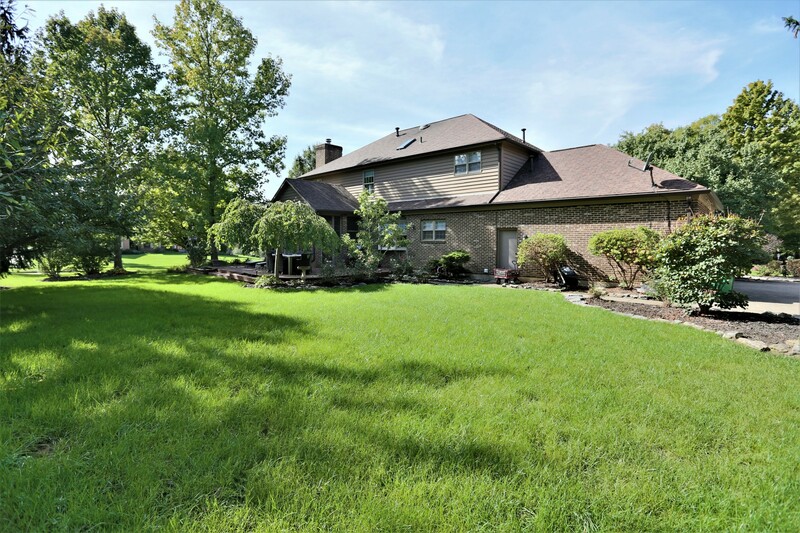 This grand home resides on half an acre of land & offers mature trees that provide privacy while still allowing for views of the gorgeous community! Make your way through the grand entrance into a home that abounds with superiority. Step through the front door where you will be greeted by tall ceilings, a grand staircase, hardwood flooring and an open floor plan that you’re sure to fall in love with. 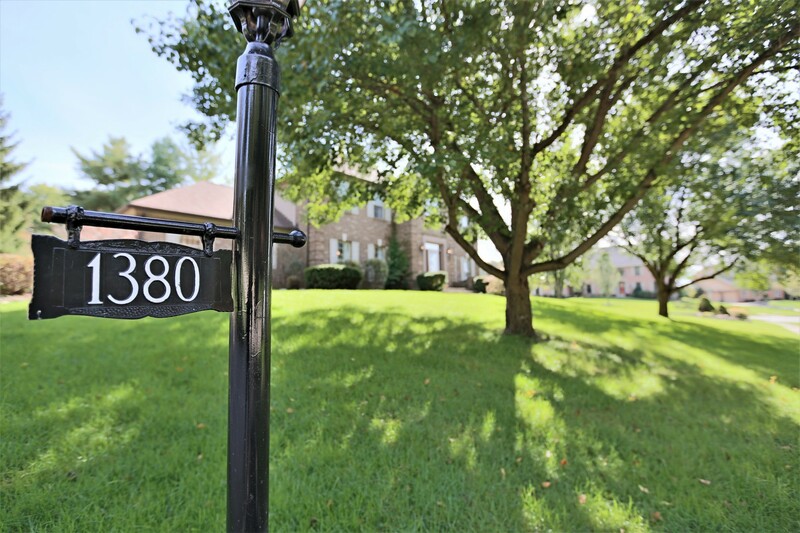 Adjacent to the entrance, you will find an exceptional Living Room that offers tall windows, modern, custom trim work, custom built-in shelving, modern lighting fixtures & a french door entrance that leads into the spacious Family Room. You will understand beauty when you enter the Formal Dining Room which boasts a stunning tray ceiling adorned with an elegant chandelier. This space features an accent wall of mirrors, reflecting sunshine from the large windows & filling this room with natural lighting. As you make your way into the Chef’s Kitchen, you will be in awe over the tall ceilings, custom cherry colored cabinetry, solid surface style countertops, ceramic tile backsplash, hardwood flooring and spacious center island with additional storage & built-in wine rack. This designer kitchen also features stainless steel appliances which include double wall ovens, gas stove top and refrigerator, as well as a planning desk with extra cabinetry. Adjacent, you will find the Breakfast Room, which features a bay window offering backyard views, as well as a modern chandelier lighting fixture. The Exceptional Family Room offers tall ceilings, tall windows, a gorgeous wood burning fireplace, hardwood flooring, as well as french door access to both the Living Room and Screened-In Patio! Continue your journey upstairs to the Master Suite and be amazed with its neutral décor, tall, tray ceilings, tall windows, gas burning fireplace and walk-in closet. Make your way into the Master Bathroom which offers his/her vanity sinks, ceramic tile flooring, custom wood cabinetry, garden tub, freestanding shower and private commode. Upstairs, you’ll find three additional spacious bedrooms with large windows inviting natural light and plenty of closet storage, as well as a full bathroom with ceramic tile flooring and tub/freestanding shower. As you head downstairs, you will immediately appreciate the ample amounts of space this Full Finished Basement has to offer! This basement is exceptional with brand new carpeting throughout, entertainment space with projector, built-in cabinet storage, recessed lighting, as well as bonus area with hardwood flooring, utility room, full bathroom and potential 5th bedroom! You will truly appreciate living the life of excellence on half an acre of land that offers views of mature greenery. 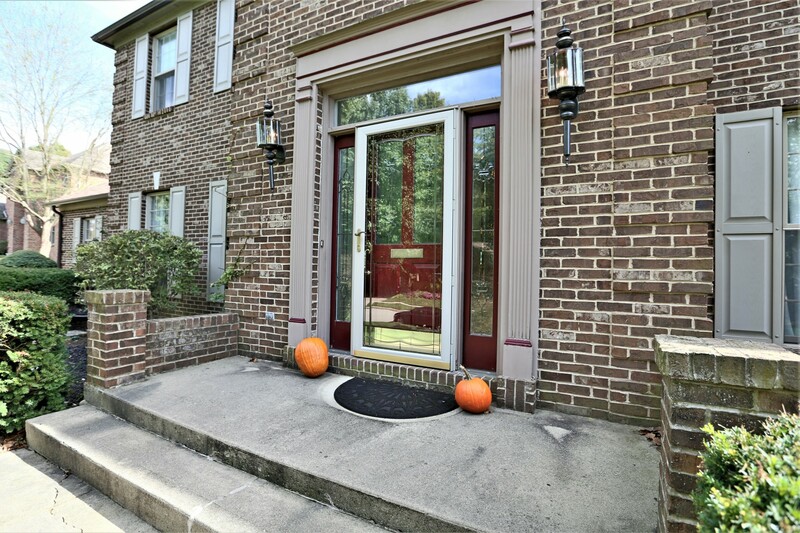 Step through the french door entrance from the Family Room into the spacious Screened-In Patio that features updated flooring, plenty of large windows inviting light, brick walls and paddle fan. Step outside the Screened-In Patio onto the back deck that offers plenty of space to entertain family & friends! 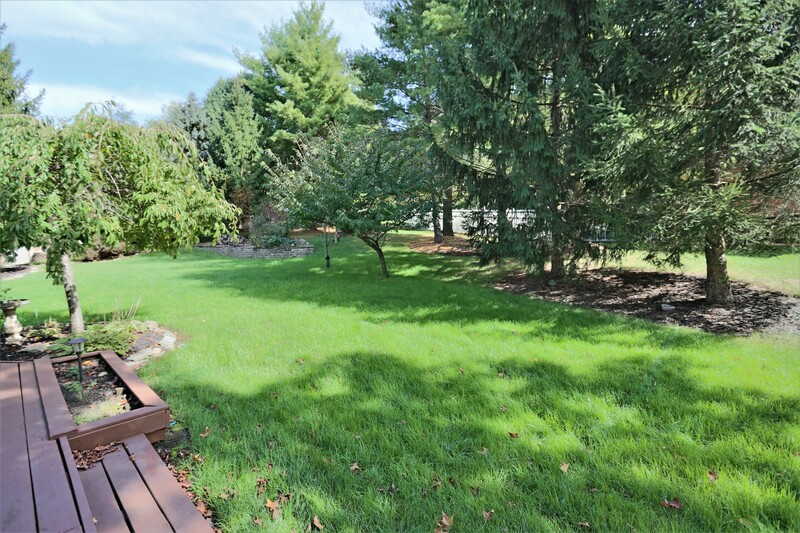 With a stunning and spacious backyard like this, the possibilities are endless! Additional exceptional features include an open floor plan, cathedral ceilings, entry staircase, hardwood flooring throughout, tray ceilings, gas & wood burning fireplace, custom cabinetry throughout, Granite Countertops, ceramic tile backsplash, stainless steel appliances, walk-in closet, French doors, Full Finished Basement, Updated Flooring in Florida Room, updated roof, new floor & carpeting in basement, 2 car garage and back deck.